Many video game fans have undoubtedly been looking forward to the release of The Elder Scrolls V: Skyrim Special Edition, a remaster of the 2011 classic video game Skyrim. 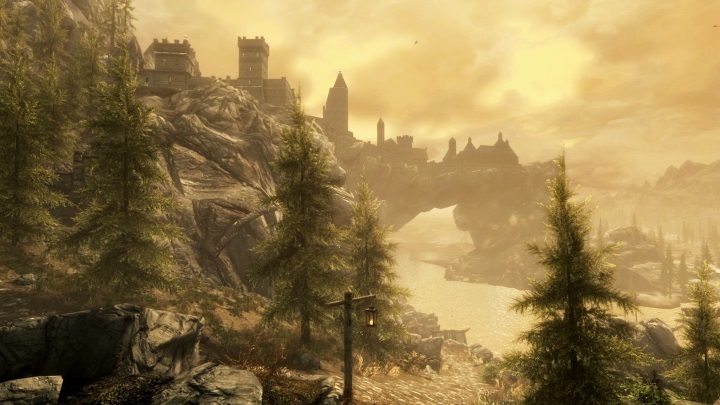 Few would argue that Skyrim is one of the best role-playing games ever made, so it’s fitting that Bethesda choose to remaster its 2011 magnum opus instead of other Elder Scrolls games this year. And early reviews suggest that this special edition of Skyrim is indeed worth player’s time, and that those yet to play this RPG classic could do much worse than give Skyrim a go this holiday season. But while Skyrim Special Edition does look quite a bit prettier than the original 2011 game, especially on consoles, sound issues in both the PC and Xbox One edition of the game have been getting in the way of player’s enjoyment of the remaster. As highlighted by one Reddit user who goes by the handle LasurArkinshade, it seems the folks over at Bethesda’s Montreal studio (who are behind this Skyrim remaster) compressed the game’s audio files a bit too much, leading to sound quality that’s even worse than that of the original 2011 game, as can be heard in the audio comparison below. Although maybe only those listening to the game through high quality audio equipment or headphones will be able to appreciate the difference, and it also appears that Bethesda is aware of this situation as another Reddit user (who has posted on Bethesda’s behalf in the past) stated that the video game company is “testing a fix”, which it hopes will be available in the week of October 31. It’s likely many people will find Bethesda’s desire to compress the game’s audio so much puzzling, even if their goal was to reduce file size so that the game doesn’t take so much space on player’s hard drives. This is a pity, because Skyrim not only has great sound effects (such as the roaring of dragons and the clashing of swords) but also a great musical score (which will be performed in a London concert this November), and surely deserves to be heard in all its glory. Strangely enough, these sound issues don’t seem to affect the PS4 version of the game, which is weird taking into account that the old PS3 version of Skyrim shipped in quite a buggy state, and it took Bethesda several months of patching to get the game running right on Sony’s old console. So here’s hoping the Maryland-based company comes up with a fix soon enough for the game’s audio issues on the Xbox One and PC, so that players can get on with enjoying this remaster of their 2011 classic role-playing video game.